Air quality throughout the city has always been hard to measure, solar air quality monitor uses air quality sensor attaching to the solar panel to monitor the air quality throughout the city. This idea originally came from Pigeon Air Patrol, where they use pigeon to monitor air quality in London, other ones such as Spare the Air from Bay area only gives overall air quality in the city, but not in detailed way of mapping. Independent solutions like Smart City Air Monitor requires too many devices and can need constant human maintenance. We believe that using solar panels and Helium IoT Kit would have much better results since we can put it almost anywhere, and we want to build it in a way where no one needs to constantly maintain the device. Parts are very simple, one hub can handle about several mile radius, outside of the Hub everything else cost less than $60. In the future, we can install Helium Hub that cellular based across the city, making dependencies even less. We first have to register our Atom on Helium Network Dashboard. Now that we have Helium set up, we need to store the information on the cloud so that data can be stored and monitored in real-time. In this guide we will be using Google IoT Core, Google gives $300 signup credit which we can use to try out different products within Google Cloud Platform, and here we will be using Google IoT Core. This way we can create a new service account and get the private key in json. After that we create a registry as well as pub/sub within Google IoT Core, in this case we use air_quality as topic for the pub/sub. 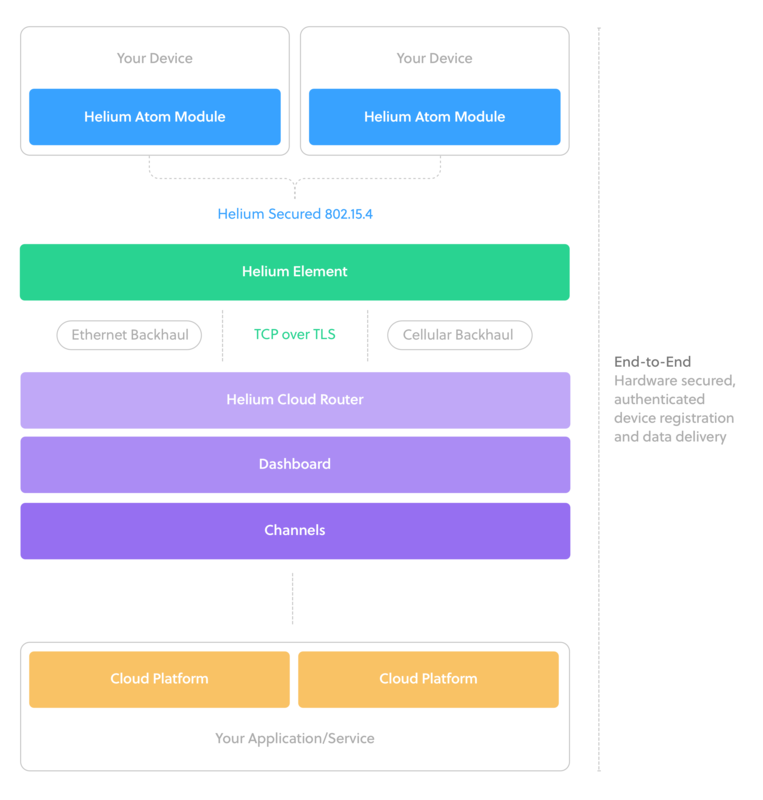 And now we have Helium completely connected with Google Cloud Platform's IoT Core. Helium has documented a pretty good guide on how to set up the Arduino Breakout board. Most important part is setting up the jumper for Arduino UNO as the following image. Afterwards, you can upload the following code to test out air quality. Make sure to add Board.h from Helium's example as well. Once this is uploaded, you'd be able to see it in Google IoT Core. When that works, we can see it from the OLED Screen, and these IoT information is also being pushed into Google IoT Core through Helium IoT Hub. Now that hardware part of the IoT is working, we need to set up server and data storage. The BigTable is kind of expensive and I don't have enough credits to mess around with it, in this step we will be using Node.js server and Datastore. We first need to launch a nodejs app engine like below. Afterwards you should be able to see this under services. If you want to use any other service than default please update your app.yamlfile under service: service_name, if no service name is being selected, default will be used. You can switch to any topic, token can be created for additional verification. Now that we have a place to push our data to, we need a Datasource for the data. we can create Datasource under GCP under Datasource. Under Datastore Entities we can create an entity. We now have IoT inside GCP from end to end, only thing left is display the data, use following code to get the latest data which can be displayed over the webpages. From that, we can get the data and use html to display the data as needed. Because of the range on the Helium Hub, we can easily implement the solution by covering the entire city through hub range with less than 50 Helium Elements. Through that we can easily monitor entire city's pollution information.